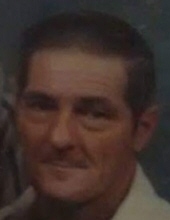 Celebrating the life of Phillip "Donnie" Riggle Sr.
Obituary for Phillip "Donnie" Riggle Sr.
Phillip "Donnie" Riggle, Sr., 67, passed away November 28, 2018 in Pascagoula, MS. He was born on July 6, 1951 in Pascagoula, MS. He loved the outdoors, cars, and most all, his dog, Bailey. He was liked by everyone who met him. Donnie was preceded in death by his son, Phillip D. Riggle, Jr.; granddaughter, Brittany Riggle; and step-father, Carl Hester. He is survived by his daughters, Krystale Riggle and Donna Jean Riggle; mother, Alma Hester; 6 grandchildren and 1 great-grandson; along with numerous nieces, nephews, and other relatives and friends. The visitation will be held Monday, December 3, 2018 from 11:30 a.m. to 12:30 p.m. at Heritage Funeral Home in Escatawpa, MS. The funeral service will follow in the funeral home chapel beginning at 12:30 p.m. with Pastor William Butler officiating. Interment will immediately follow at Machpelah Cemetery in Pascagoula, MS.
Heritage Funeral Home, locally owned and operated, located in Escatawpa/Moss Point, MS is in charge of arrangements. To send flowers or a remembrance gift to the family of Phillip "Donnie" Riggle Sr., please visit our Tribute Store. "Email Address" would like to share the life celebration of Phillip "Donnie" Riggle Sr.. Click on the "link" to go to share a favorite memory or leave a condolence message for the family.